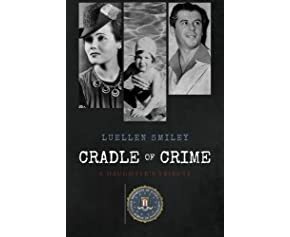 CRADLE OF CRIME- A Daughter’s Tribute. | STEP BEHIND MY SCREEN OF STORIES. The inner voice where gaps of expression are liberated. Unsure if you remember 5-1/2 years ago when our daughter, Erin married Mike Finizio at La Posada……Your Palace Avenue residence was home base for Mike and his buddies during the wedding week-end. i’ve been keeping up with and enjoying your posts……and thinking you might appreciate Erin’s blog ~ “EMpowered Times”….thoughts on life and living. i think it’s great and very inspiring”. i just wanted to say “Congratulations!” on the publishing of your book…i bought one for Mike as a Christmas gift. I’m sure he’ll find it most interesting ~ and maybe he’ll share after he’s finished! Again, congratulations and best wishes for great success! Merry Christmas and Happy Hanukkah, with warm wishes for a 2017 of hope and contentment. Of course I remember-the greatest family ever! So touched you bought my book for Mike. I’ll be having a few book signings in Santa Fe, and will put you on the invitation list. Thank you for writing. Merry Christmas and Happy New Year to you as well.